Interview with Gaby Velaz, co-owner of La Casita restaurant. As part of our bi-monthly newsletter we mail out, (yes, we actually still send mail via the post office!) we interview a local company we want everyone to know about. 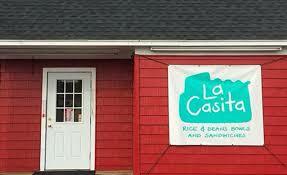 For our early spring edition, it is La Casita in Kittery – a new rice and bean joint you do not want to miss. It is co-owned by Gaby Velaz (the interviewee below) and Mark Segal. Located on the Memorial Circle in Kittery, look for their banner and go check it out. What was the inspiration behind opening the new restaurant? I’ve been cooking for twenty years and I’ve always loved making my own food. I was always working for someone else so I decided it was time to do it for myself, being able to do it the way I wanted to do it. I grew up seeing my family cook all my life—the rice, the beans, the pork. It was the food of everyday in my household, it is my roots, my comfort food. I was born and raised in Puerto Rico and decided to go to the New England Culinary Institute in Vermont. I love New England and believe what I do fits here. What is your favorite item on the menu and why should everyone try it? It’s all about the rice and bean bowls. It is the crux of the restaurant. The consumer gets to choose all their own toppings. Of course, the pork is one of my favorites. What have been some of the challenges in opening your own business? Successes? The challenges were that I didn’t know what I was doing! It is very different when you are starting your own business. I had started businesses for others but I was never in charge of the money or finding the place. I have a great Partner in Mark Segal. I was struggling by myself and he stepped up to partner with me. The successes have been that the first six weeks have been so welcoming! It has exceeded expectations. The location is running by itself. I’ve learned more from failures than success, but success feels good! 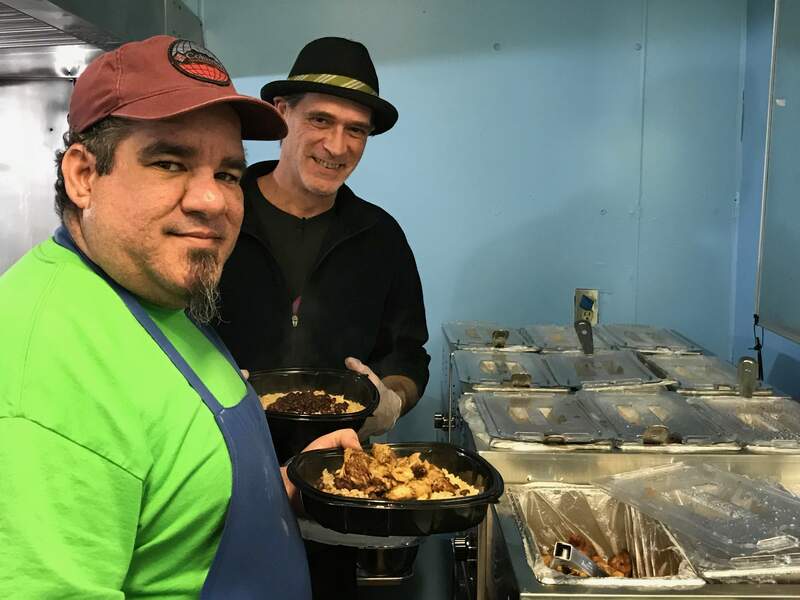 Making people happy with good food! People come back to the restaurant and say “Wow, this was amazing” or “This is the best meal I’ve ever had in my life”! I’m humbled. I’ve been cooking since I was a kid. I was the youngest of three and I spent a lot of time at the house with my grandmother. I would stand on a stool in the kitchen watching what she was doing—she was the super cook of the family. My mom got me a job after high school with the University of Puerto Rico. I loved the job but it was not what I was supposed to be doing. The Director noted that I always cooked for all the holiday parties, he said I cooked really well. He said “Why don’t you try and be a chef? You could be really good at this.” Two weeks later I was in Vermont! La Casita is all about not being pretentious. This is everyday food to me. About humble food from simple hands. We love what we do and we just want to make people happy.